The TK-6110 addresses the basic specifications, features and costs in a dash mount mobile for low band public safety, public service, government, utility, private industrial/business and local government and school bus sectors. The high 70W power, 8 Character alphanumeric display and front speaker and compact dash mount chassis facilitate easy installation into trucks, busses and sedans. The noise blanker function reduces sensitivity to vehicle ignition noise common with low band frequency radio equipment. Encryption /ANI control permits first level to high level voice security and dispatch functions satisfying homeland security and confidentiality requirements. 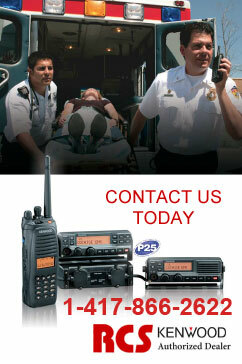 Emergency Call (front panel & footswitch input) provides distress notification with MDC-1200/G-Star and DTMF ANI formats. DTMF or Two-Tone Selective Call provides built-in talkback paging capability. The accessory interface I/O’s permit interface headset/intercom systems, police motorcycle headset/PTT systems for vehicular installations or remote control termination panels for base/control station fixed installations.